7 Teams Develop Data Driven Solutions to Advance Access To Valuable Financial And Insurance Services – DataHack4Fi. According to FinScope 2015 only 33.7 percent of adults in Zambia are financially included. While levels of financial exclusion have reduced since the past few years, financial inclusion remains relatively low and therefore of significant concern to both policymakers and financial service providers alike. 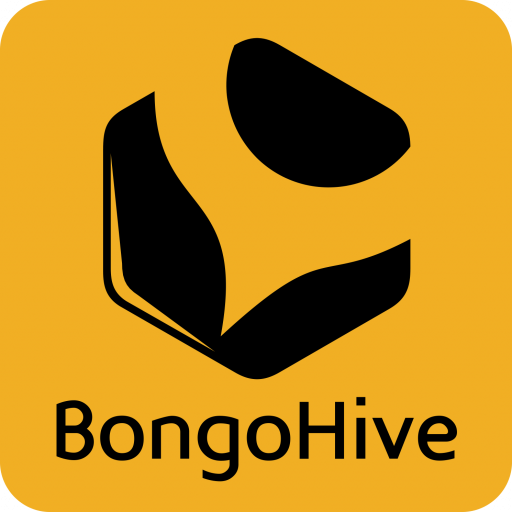 This past weekend, BongoHive and Insight to Impact launched the Data Innovation Competition to advance financial inclusion and also hosted a 2.5 day hackathon with the participants of the competition. The hackathon attracted about 25 participants, awesome and eager to create solutions to solve problems in financial inclusion and insurance in Zambia. Seven (7) teams emerged during the hackathon. A device called polani health care. The polani health care device is a medicine dispenser, alarm and reminder. It will be able to take records of the patient’s or client’s medication intake. With the usage of this device, a significant amount of data will be generated which will further be refined and analysed to gain insights. Insurance companies will be able to use this data and generate strategic analysis for making better business decisions. For eg: a patient with poor intake habits will be charged a higher health insurance premium than one with good intake habits. Data from this device will help insurers to continuously monitor information about their customers. A mobile app called ZINGA to help decrease number of financial exclusions in rural areasThe app will offer money transfer, savings & insurance at the nearest local point Hospitals/ Clinics. Schools. Shops. Zinga offers a platform that will allow an individual to send, receive, save (alone or Group) and also get any insurance that will suit their needs at the nearest accessible point like a schools, churches, hospitals/clinics and/or shops. A mobile and ussd app called chilimba to assist people join savings groups, sends alerts on withdrawals and deposits to all members. A team leader controlling the app can send a join or reject message to people. Once they accept invitation to join savings group, they are directed to team leaders location (school,hospital,supermarket) where they can deposit money and start saving. Loan Inclusion mobile app that allows one to view loan options, access a loan and pay back the loan using talk time credit top ups. A mobile application with insurance services’ options for students. The app will act as a bridge between the insurance providers and students. Students can have the option of paying insurance premiums using paypal and mobile money. Insurance companies are the customer, students are the users. An application to financially include agriculturalists/farmers by linking them with FSPs and Insurance companies offering products and services ideal for agriculturalists or farmers. For eg: a product that allows them to use livestock as collateral to get a loan or to pay as insurance premium. And also educate them on their options. A payment gateway system for different payments such as insurance premiums, deposits for savings and withdrawals using Z’pos centres as agents. This is to make savings and insurance services convenient for those unable to reach the bank or insurance company. The Coaches were: Mark Mondoka‎ – Strategic Advisor at Microsoft, Elias Chipimo – FSDZ Board member, Uloma Ogba – ‎Knowledge Management Specialist at UNCDF, Collins Masumba – Customer insights agent at Zoona and Francis Mumbi – ‎Head, Products Segments and Pricing ‎Stanbic Bank. The panel of Judges included: Manoj Chiba, Data scientist Insight 2 Insight, Lukonga Lindunda co-founder & Exec.Dir BongoHive, Simunza Muyangana co-founder & Head of entrepreneurship BongoHive. What next? After the pitch event, all the 7 teams were selected to enter a 4 week mentorship and accelerator programme with i2i this April 2017. On 25th April, 2017, the finale pitch event will take place where the winner will be picked. The winning team proceed to attend and take part in the Transform Africa summit in Kigali, Rwanda in May 2017. Two participants to share their experiences from the hackathon. You can check out the blog by Mwiza Simbeye and Mbuyu Makayi. You can also catch the storify story for an overview. See some pictures from the event here.